A comprehensive expanse of glass characterizes this elegant enclosure design from April. 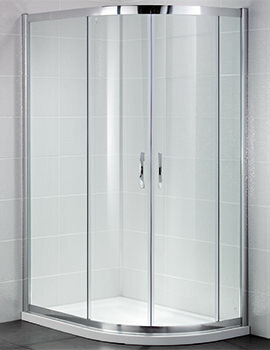 Identiti2 Offset Double Door Quadrant would be perfect for every contemporary bathroom, delivering desired charm, with luxurious showering. 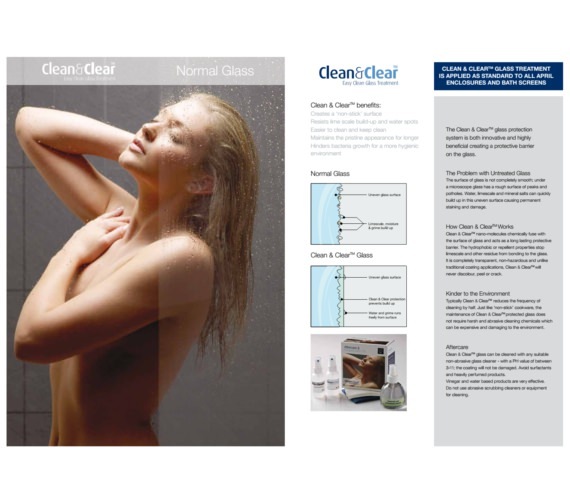 This1900mm perfect curvy toughened glass screen with clean and clear glass treatment will rejuvenate your every bath. 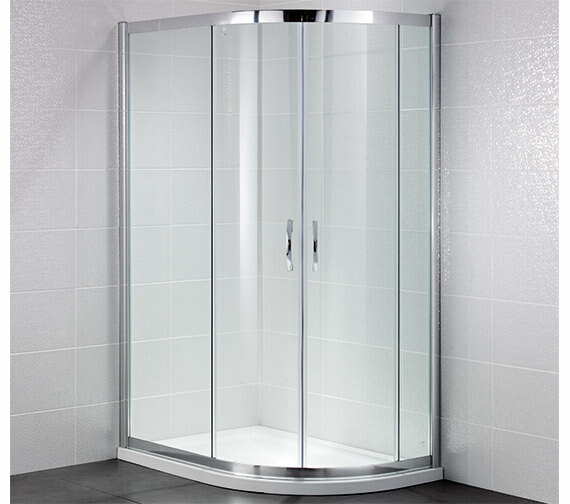 The price of this double door offset quadrant shower is as enjoyable as it looks and also avails a life time guarantee from April. 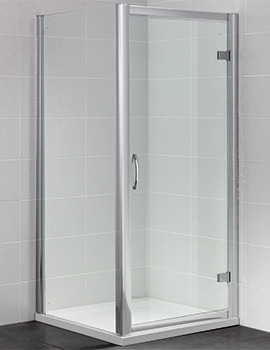 We had the April Identiti2 900 x 760mm Double Door Offset Shower Quadrant QS-V54615 MFC CODE: AP9587S installed professionally 4 years ago. Unfortunately, for an unexplained reason, one of the doors shattered during the night and have been seeking quotations from tradesmen before we found your website. 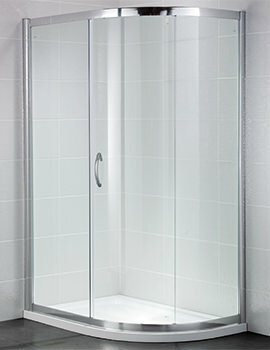 We find the installation costs quoted for replacement very high at around £1500 to £2000. The original installer cannot be traced. 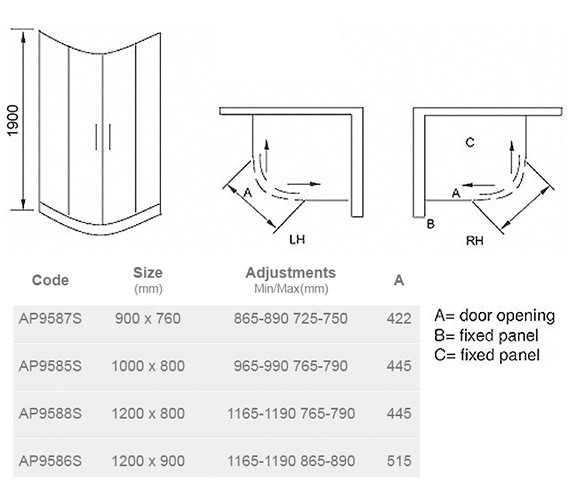 Can you advise whether your present enclosure (which matches our invoiced codes exactly for the unit we purchased) could be an exact replacement and whether the doors are fairly straightforward to replace and come complete with rollers and fixings attached. (We would just be intending to replace the doors but obviously would have to purchase your complete unit.) Many thanks. 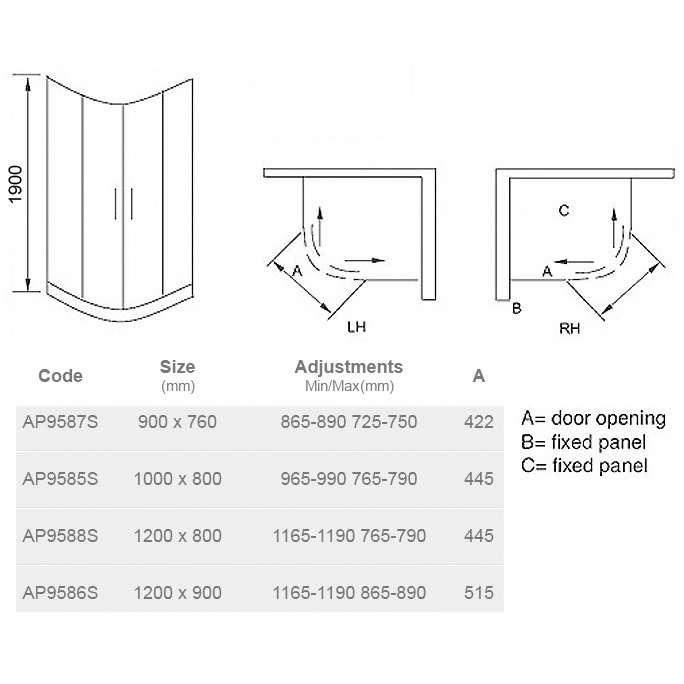 If the part number (MFC CODE: AP9587S) of this enclosure matches with your invoiced code, then it will perfectly replace the existing. The only update from the manufacturer is of height (old version: 1850mm and new version: 1900mm). The doors comes complete with rollers and fixings. 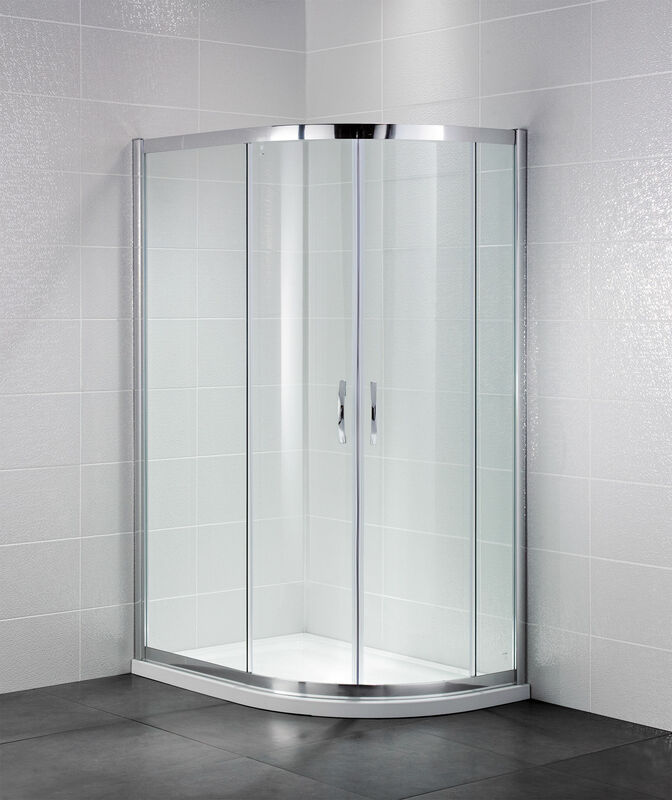 Does the April Identiti2 Offset Double Door Shower Quadrant enclosure (QS-V54615) fit both RIGHT and LEFT offset shower trays? 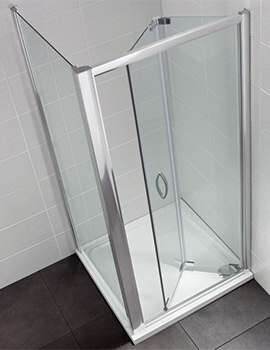 Will it fit with a QS-V54718 - April Offset Quadrant Shower Tray LEFT? Thank you. 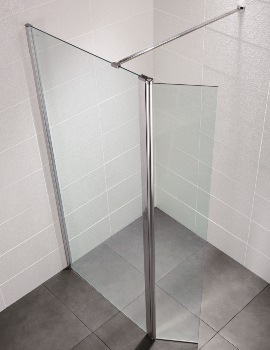 Yes, this quadrant enclosure can be used with right and left offset shower tray. It is suitable for use with QS-V54718 left-handed tray, which is also available as an optional product above. Hope it helps.